In which students get permission to play on Wikipedia! Many of the students I work with have non-verbal learning disorders. This presents a number of learning and social challenges. One of the biggest is that many of the students think very literally and struggle to think outside the box. This makes me a little crazy for a few reasons. First, why type a whole question into the search box? Second, this may be their only search strategy. If they don’t find something good on the first results page, they assume that there’s no information out there. Frustration abounds. But how do you teach thinking outside the box? Especially when it’s something that otherwise comes naturally to you? Like most good librarians, I enjoy discovering and borrowing ideas from colleagues. Another teacher had already started the tradition of a “Happy Happy Fun Day” among our middle school students. This is an earned day off from instruction. Through a post on YALSA-BK, librarian Elizabeth Kahn introduced me to the idea of Wikipedia Races. Ms. Kahn had posted to YALSA-BK about her Teen Tech Week programs in 2013. One day of the week featured a Wikipedia Race. She was kind enough to explain the process for me. 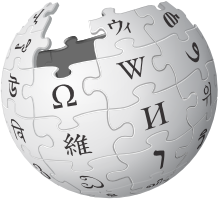 Students are given a starting article in Wikipedia and an ending article. The goal is to get from one article to the other using only the links contained within Wikipedia articles. The student who can get from start to finish with the fewest clicks wins. I will also give credit to students who can come up with the most interesting path from one article to the other. I thought this sounded like a lot of fun and held a Happy Happy Fun Day to introduce Wikipedia Races. The first time we tried this, we traveled from Lizzie Borden to the Los Alamos National Laboratory, from The Wizard of Oz to The Hunger Games, and from ENIAC to Minecraft. My students loved it. A day of no instruction! Permission to use Wikipedia! And, since the way we play is that one student chooses the starting article and another chooses the ending article, they enjoy choosing the most ridiculous articles they can think of. The beginning was rocky. Some students were adamant that there was no way to connect Lizzy Borden to Los Alamos. They have nothing in common. However, after a few rounds, as students heard how their classmates worked through the challenge, they started to understand how to look at and approach each race. What I thought would be a diversion for a day ended up having a bonus for my students: a fun way to practice thinking outside the box. Some of the more rigidly thinking students still struggle with it, but they have fun, and the students who “win” are expected to explain their path, and why they chose the links they did. Happy Happy Fun Wikipedia Race Days are now a regular feature in class. Students even ask for Race Days. We have traveled down some strange Wikipedia roads (did you know there are such things as guard llamas?). But I believe that it has given students some greater flexibility of thought which they can use when working on research projects. A final perk. As an independent school, we often have perspective students shadow for a day. Race Day has proven to be a great way to engage visiting students and evaluate how they fit into the dynamic of the class.